If you run a restaurant, cafe, or coffee shop, you know that business can be frenetically busy one minute, and then slow for hours shortly after that. It is a traffic pattern you may have learned to simply accept as the nature of the beast and moved on. What you may not be aware of is that there are so many opportunities you can leverage during the slow hours of the day via online ordering for non-meal items. Regardless of what you serve or when you serve it, online ordering makes your food available throughout business hours. However, you may not be taking full advantage of your online ordering system by failing to offer non-meal items via your ordering site or app. 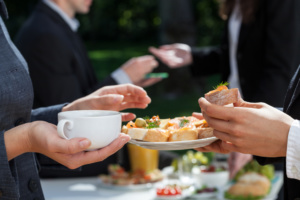 People get hungry all day, but due to work schedules and school schedules, they often don’t have time to drop in, order a substantial snack or appetizer, wait for it to be prepared, then consume it or take it back to work on a 15 minutes coffee break. Online ordering lets your customers schedule their order so it is hot and ready for pickup as soon as they take their break. However, non-meal item online ordering only works as well as your marketing, as customers will not take advantage of services they know nothing about. Here are some specific ideas for how to market a line of non-meal items for your restaurant, bakery, coffee shop, or other variety of eatery. People often find that in order to be more productive throughout the day, having something to snack on makes such a huge difference in their energy levels. However, most people have severely limited options in terms of what kind of healthy or substantial snacks they have access to when they take a break at work throughout the day. Honestly, who wants to eat from a vending machine on a regular basis anyway? What if there was a better way to snack during the day? Your business needs to be marketing to the day time snackers who are sick of vending machine fare or routinely forget to bring snacks from home. Posting ads for workday snacking on your site and in your establishment itself make for an excellent starting place with this type of service offering, however sending out Tweets or posting to Facebook during the slower times of day will grab and hold the attention of those hungry workers. Additionally, if you currently offer delivery service, offer free or discount delivery for quantity orders, as this can get coworkers to group their orders together and save you time and fuel costs. Many eateries offer specialty beverages such as milkshakes, smoothies, or refreshing iced beverages that take some time to prepare. Rather than have customers come in, order, and use up most of their break waiting on an order, it makes more sense for your business and for them to order online and pick up their order when they arrive. A good way to promote this is offering special discounts during your slow business hours for online orders of time-consuming beverages so they can be prepped and ready to pickup when customers arrive. This makes for happier customers and a happier prep staff, as they know how many are going to be ordered and how much to prepare in order to meet customer demands. This is also a concept that adapts well to non-meal items such as substantial snacks and appetizers or desserts as well. employees. A great way to boost non-meal item orders during slow hours is to offer snack bar orders for employees that can be easily picked up or delivered. Nacho bars, omelette bars, appetizer bars, or chicken wing bars all make for a great way to reward employees for superior performance or as an incentive for good work. You can best promote this by dropping of corporate/small business menus or flyers at local businesses, making sure to highlight online-order-only discounts during your slow morning or afternoon hours as a means of incentivizing businesses to put in an order. 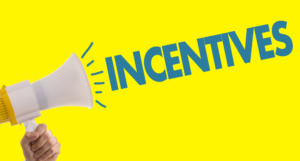 Also, offer bonus items or coupons for repeat business if employees or management Tweet, Facebook post, or Instagram pics from their event and mention your restaurant to help get the word out about your online ordering for non-meal items. No matter how you decide to promote them, so long as you are doing your utmost to spread the word about your non-meal items available via online ordering, offering this service can significantly increase revenue during those lulls in business where everyone needs something to do and you need customers walking in the door. Talk to your staff and kitchen team and start to brainstorm ways you can make this work for your establishment, get things rolling online, and watch your morning and afternoon lulls become just a story veteran employees tell newcomers about back-in-the-day.